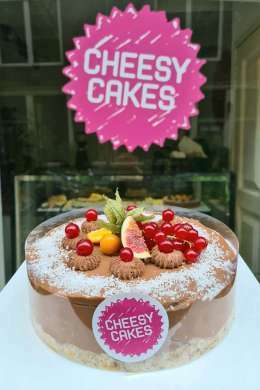 For those of you not yet in the know: Cheesy Cakes is a complete, casual and moderately priced cheesecake store with an extensive menu of delicious, in-house baked goodies. My philosophy for Cheesy Cakes is that freshness,high-quality ingredients and attention to detail in cake preparation make all the difference in the world. 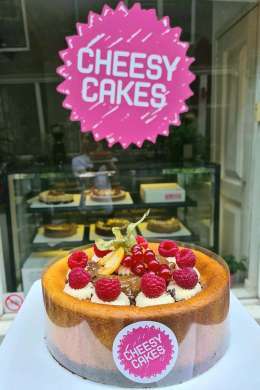 This is why all of my cakes, the famous cheesecakes in particular, are freshly prepared every day by me and exactly according to my recipes and standards. 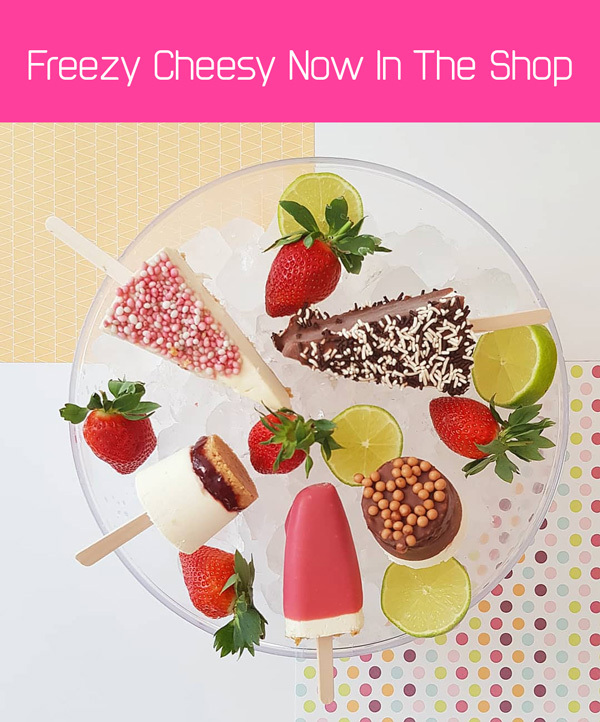 In my cheesecakes only premium quality flavourings and the renowned quality chocolate of Callebaut in Belgium are allowed, and I use fair trade ingredients whenever I can. 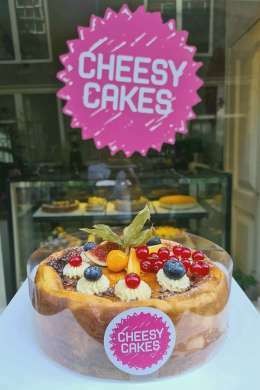 The cakes are available by the slice and by half-round or whole round cake size, and of course pre-portioned, should you desire so. Whether you have 6 or 60 people to feed: I have the right Cheesy Cakes for you! My extensive and eclectic menu has something for everyone, and to top it off you can combine it with a cup of coffee of my own blend, especially composed to pair with cheesecakes. Should you prefer a cup of tea, I have a some nice organic, handpicked blends for you. Speaking of tea: my shop can also be booked for a private small high tea and/or cheesecake party, or even a small baby shower, for 8 -10 people. 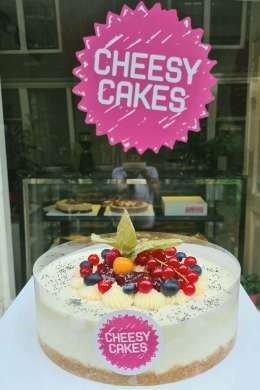 Cheesy Cakes is open from Wednesday through Sunday, and by appointment. Cake orders may be placed by using the contact form on this site, through Facebook Messenger, in person, or by email. Although some time frame may be available last minute, it is advised to place your order at least 3 days in advance,to ensure pick up of your special cake on the desired date. For celebration cakes (birthday, graduation, baby shower, etc), please let me know in advance the correct message text for the cake. Before confirming, all cake orders require a 50% invoice deposit upon placement of the cake order, with the remaining invoice amount to be fulfilled upon pick up from the store. No deposit refunds are possible after your order has been confirmed. 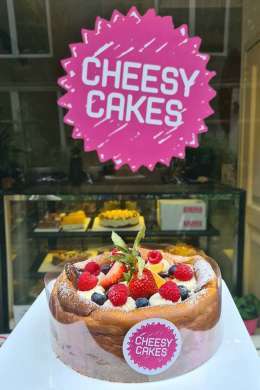 All the cakes are 24 cm in diameter, which yields 12-14 slices / servings, and costs €39,00, or the19 cm in diameter,which yields 6-8 slices/servings and costs €27,50.